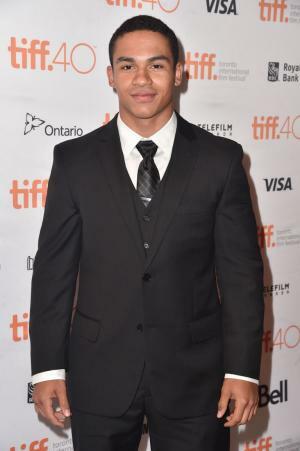 Noah Gray-Cabey was born on 16 November 1995, in Chicago, Illinois USA, and is a pianist and actor, known through being part of several television shows, including “My Wife and Kids” and “Heroes”. He’s performed as a pianist internationally, and has made appearances in films as well. All of his efforts have helped put his net worth to where it is today. How rich is Noah Gray-Cabey? As of early-2017, sources estimate a net worth that is at $2 million, mostly earned through a successful career in music and acting. He’s had an acting career since 2001, and continues to be involved with various musical projects too. As he continues his career it is expected that his wealth will increase. Noah started out with a toy keyboard and then moved to playing a real piano a few years later. He then started performing in several venues around Washington and New England, including touring with the New England Symphonic Ensemble as they performed in several countries, such as Jamaica and Australia where he was the youngest soloist to appear at the Sydney Opera House, the Queensland Conservatory, and the International Convention in Brisbane at the age of five. His achievements led him to make an appearance on “Ripley’s Believe It or Not”. Gray-Cabey was educated at Paraclete High School, and after matriculating attended Harvard University. For his acting career, Noah debuted in his first feature film as part of “Lady in the Water” in 2006, and then became part of the television series “My Wife & Kids” in which he played Franklin Aloysius Mumford. He continued making other appearances in popular shows such as “Grey’s Anatomy”, “The Oprah Winfrey Show” and “Good Morning America”, before being cast in the series “Heroes” as the boy who is able to control machines, Micah Sanders. His numerous appearances have helped raise his net worth significantly. A few of his latest projects include reprising his role as Micah in “Heroes Reborn”. He also has a recurring role in the series “Code Black”. Gray-Cabey then started the music project called Action in Music or A.I.M. The project’s aim is to help develop children’s musical talents and give them opportunities to perform in other countries; the money raised by the concerts is then donated to orphanages and hospitals in those countries. He has recorded a CD with his family in which he performs pieces by popular composers such as Back, Haydn, and Vivaldi. His net worth has also increased thanks to his numerous musical projects. For his personal life, there are no rumours of any relationships – he is still just 21. It is known that Noah has his own personal website noahgraycabey.com. He grew up not having a television in his family home. Some of his hobbies include fencing and inventing. He remains active on social media having a Twitter account with over 2,400 followers. He tries to post on the site regularly. He also has an Instagram account with over 43,500 followers and it showcases some of his projects as well as pictures from his personal life. 1 Was born in Chicago, Illinois to Whitney Gray and Shawn Cabey, but grew up in Newry, Maine. 2 He was in 9th grade math class at age 11. 3 He has been able to play complicated and flawless piano pieces since he was 3 years old. He memorizes his dad's fingers after a single performance and can instantly play the same piece. He is so good at this, that he has been in orchestras from the age of 4, and performing in solo tours from the age of 5. However, he has not yet learned how to read sheet music.